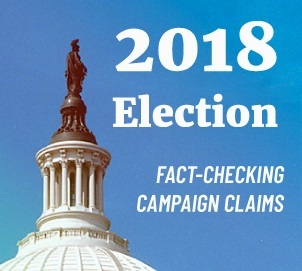 In the final days of the 2018 election, Republicans across the country are running TV ads about immigration that falsely accuse some Democrats of wanting “open borders,” plotting to “abolish ICE,” supporting “sanctuary cities” and more. The ads contain evocative images of tattooed gang members and “caravans” of Central Americans traveling through Mexico in search of asylum. The Republicans are following the lead of President Donald Trump, who in recent days has labeled the Central American asylum seekers “an invasion” and ordered the U.S. military to guard the Southern border. He also has said he will sign an executive order ending birthright citizenship, although the legality of such a unilateral action has been challenged by constitutional scholars. A database of TV ads maintained by Kantar Media’s Campaign Media Analysis Group shows that 162 TV ads airing in the last seven days, since Oct. 27, contain “anti-immigration” messages. Here we look at some of those ads. 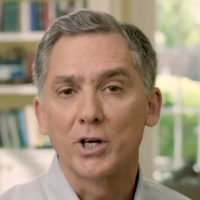 TV ads in Arkansas’ 2nd Congressional District falsely portray Democratic candidate Clarke Tucker as wanting to abolish the U.S. Immigration and Customs Enforcement. The announcer says, “MS-13, the most dangerous gang infiltrating America, but Washington liberals want to get rid of ICE, the police enforcing our immigration laws and protecting our border from MS-13.” Photos of House Minority Leader Nancy Pelosi and Senate Minority Leader Chuck Schumer appear on the screen as the announcer says “Washington liberals,” even though neither Pelosi nor Schumer support abolishing ICE. The ad then says that Tucker “attended an anti-ICE rally” and “refused to take a position” on the “abolish ICE” movement. It quotes Tucker as saying, “I don’t know what it is.” This is misleading. Tucker did not attend an “anti-ICE rally,” and he has taken a position on ICE. So what is the ad talking about? Since then, Tucker has given it thought and has taken a position — but the TV ad ignores that. So does another ad by the Republican Majority Fund, which is a PAC affiliated with Sen. Tom Cotton of Arkansas. The Republican Majority Fund falsely accuses Tucker of being on the side of “Hollywood liberals” and “Washington politicians” who want to get rid of ICE. It shows the same clip of Tucker at the June 30 rally, and then the announcer says, “Clarke Tucker won’t tell us where he stands because he is on their side.” Kantar/CMAG says the ad first started running on July 29, but it has been back on the air in the last seven days. That’s the opposite of shielding MS-13 gang members from ICE, and nothing at all like official sanctuary policies that are adopted by some cities and municipalities. Such policies, among other things, prevent local law enforcement from investigating civil and criminal immigration violations, limit local law enforcement from complying with federal immigration detainers and warrants, and refuse to give ICE access to local jails, according to an analysis of “over 500 sanctuary policies spanning nearly four decades” by a group of law school professors for an article published May 29 in the Boston College Law Review. Former Tennessee Gov. Phil Bredesen and Rep. Marsha Blackburn are vying for an open Senate seat in a race considered a toss-up by The Cook Political Report. Tennesseans for a Better Tomorrow, a group supporting Blackburn’s campaign, has been airing a TV ad in the last seven days on immigration that makes one false and one misleading claim. The ad falsely claims, “Bredesen gave driver’s licenses to illegal immigrants.” In fact, Bredesen wasn’t governor when that bill became law. He took office in 2003. State records show the bill was signed into law by Republican Gov. Dan Sundquist on May 3, 2001. The 2001 law turned Tennessee into “a haven for illegal immigrants seeking driver’s licenses” for ID purposes, as the Associated Press put it, and Bredesen’s office responded by developing legislation that ended the practice of issuing driver’s licenses to those living in the U.S. illegally. Instead, a new law — which Bredesen signed May 28, 2014 — allowed them to receive “driving certificates” that could not be used for ID purposes. But even that new law proved problematic. Bredesen signed legislation ending the program entirely after it was discovered that “some testing centers were selling licenses and certificates to out-of-state illegal immigrants,” according to an Associated Press account at the time. The TV ad also takes a Bredesen quote out of context. The announcer says, “Bredesen said, ‘I don’t believe the wall is the right answer.’” He said more than that. The Tennessean, which conducted that interview with Bredesen, says the Democratic candidate also said that he preferred more technological security measures. Tennessean, Sept. 28: Bredesen’s comment came in response to a question about whether he would support a compromise bill that would include fixing the Deferred Action for Childhood Arrivals program with funding a wall along the southern border of the United States. So, Bredesen supports border security, but thinks there are less expensive and more effective ways of doing it. O’Rourke is not in favor of eliminating the screening process for refugees. To support its claim about O’Rourke opposing background checks for refugees, the TV ad cites O’Rourke’s vote in 2015 against H.R. 4038, the American Security Against Foreign Enemies Act, or the American SAFE Act. That bill, which passed the House but failed in the Senate, would have added additional screening for refugees coming from Iraq and Syria, and required the FBI to investigate applicants in addition to the Department of Homeland Security. O’Rourke argued that the process at the time was already thorough. The process includes fingerprinting and checking records against databases maintained by the National Counterterrorism Center, the Department of Defense, the FBI and Interpol. Each refugee applicant is also interviewed personally by specially trained USCIS officers. And those from Syria are subjected to special measures including iris scans and an “enhanced review” by Homeland Security. In the Georgia governor’s race, much has been made of comments from Democratic candidate Stacey Abrams that an upcoming “blue wave” of Democratic victory in the midterm elections would be comprised of a variety of people including “those who are documented and undocumented.” Abrams’ opponents have seized on the comment to argue Abrams wants to allow immigrants in the country illegally to vote in the upcoming election. Abrams says her words are being twisted, and she has repeatedly clarified that she does not believe people in the country illegally ought to be allowed to vote. “I think hard-working Georgians should decide who their governor is, not people here illegally like my opponent wants,” Kemp said. Abrams responded that Kemp was “willfully” twisting her words. Abrams has repeatedly criticized Kemp for championing an “exact match” law, which requires voter registration information to match driver’s licenses, state ID cards or Social Security records, and which resulted in more than 53,000 voter registration applications being put on hold. In a debate on Oct. 23, Kemp again challenged Abrams on her “blue wave” comments. Abrams again repeated that Kemp was distorting her position. Clarke Tucker “attended an anti-ICE rally” and “refused to take a position” on calls to "abolish ICE."